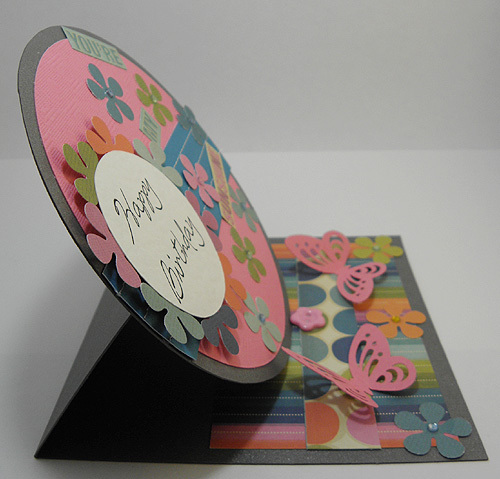 I used my Tonic Studios Super trimmer for cutting and scoring the card, and I used my shape mates for the circle. 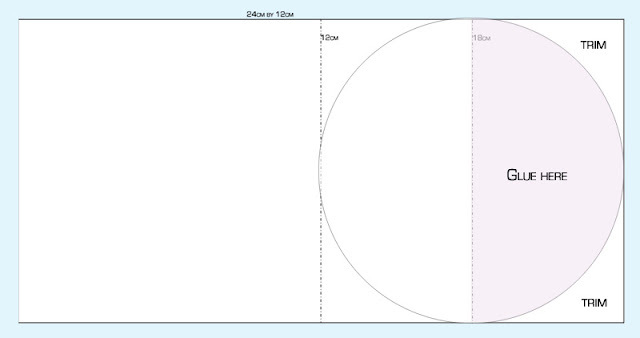 The circle shape mate I used is actually slightly over the 12cm, but it still works fine with the card. In fact, it works better than exactly 12cm if I come to think about it. 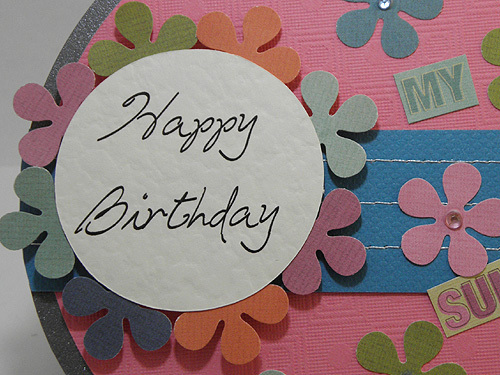 Then you glue the circle to the card and trim the excess. Then you decorate as you desire. 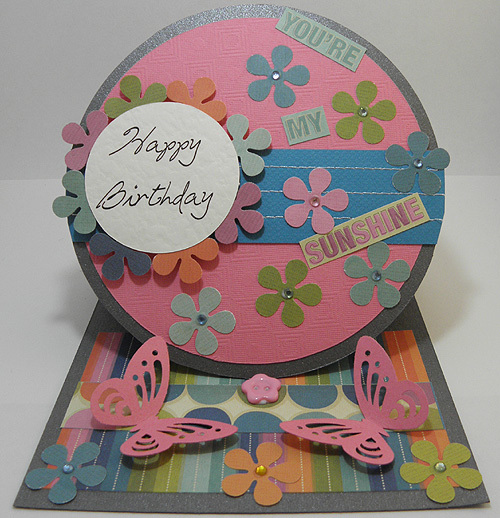 I used a little button for this card to keep the card propped up. 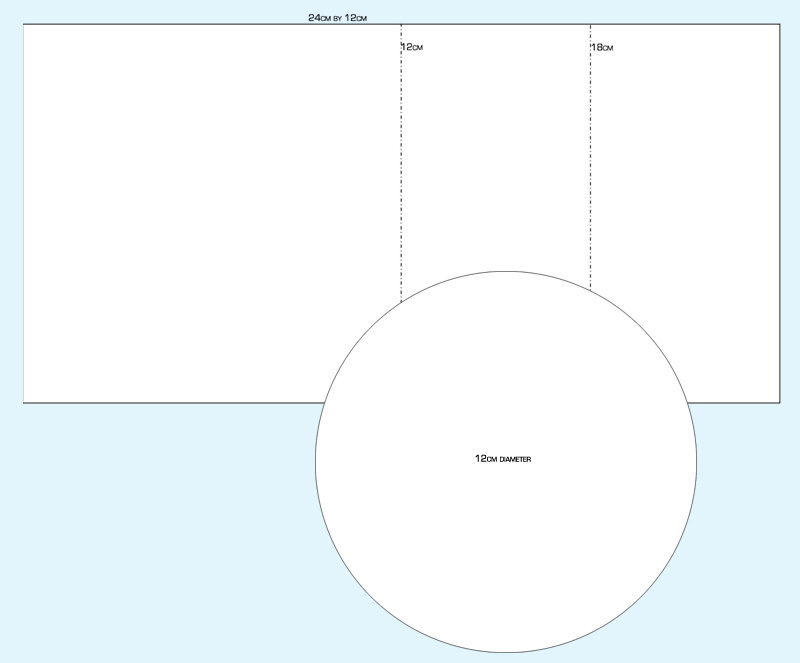 You can use a cut out shape on sticky pads if you prefer. 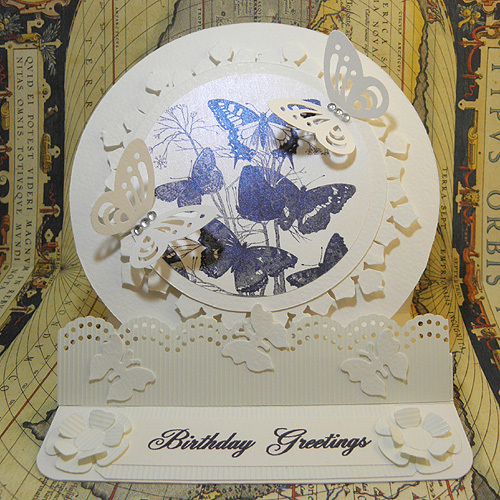 I stuck punched flowers behind the greeting to frame it with a colourful border.The other punch used in this card is the Multi Detail Butterfly. For a completely different look, I went a bit monochrome. 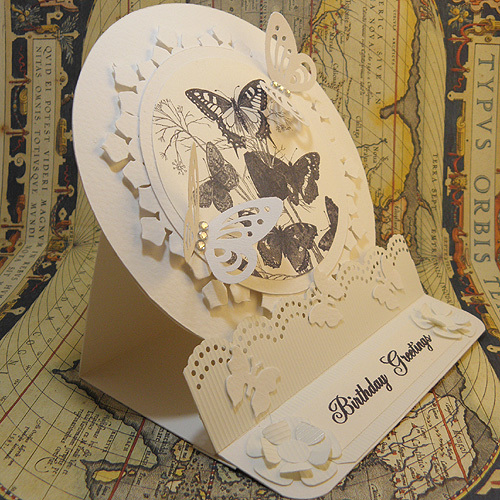 With this card I used a petal pairs punch around the edge for a pretty border. 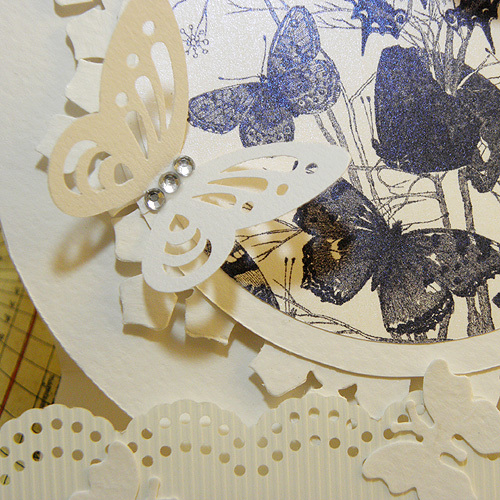 The difference with this card is that I added an extra fold which foreshortens the base of the card and provided a little ledge to stick the dotty border onto. The image is from the Graphics Fairy. 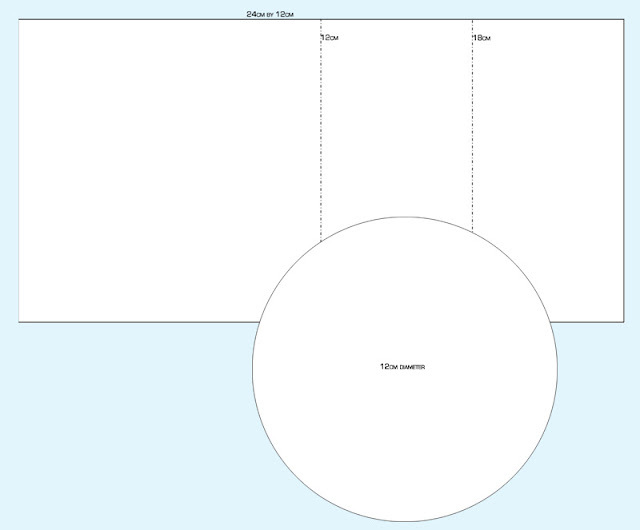 So with one template,I have created two different looks. I hope you have fun if you try this.